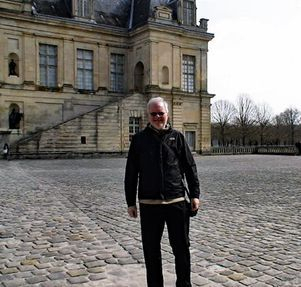 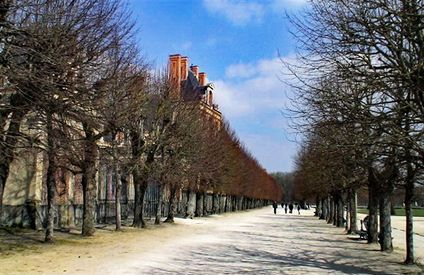 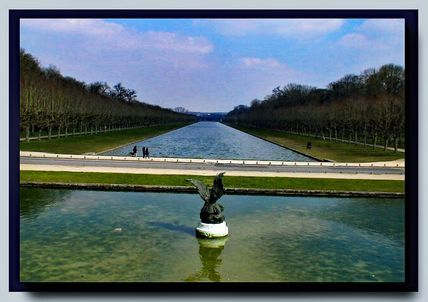 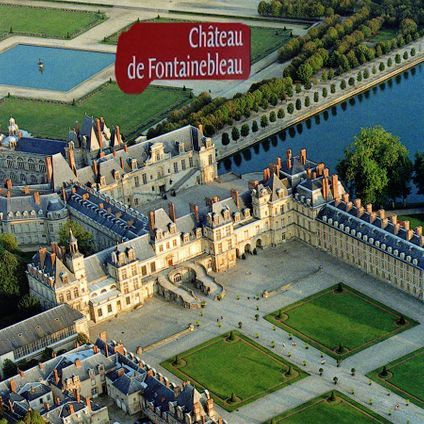 Château de Fontainebleau is located 55 kilometres southeast of the centre of PARIS and is one of the largest French royal château. 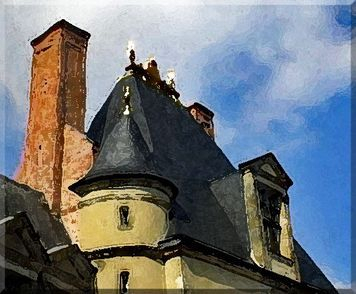 The medieval castle and later château was the residence of French monarchs from Louis VII through Napoleaon III. 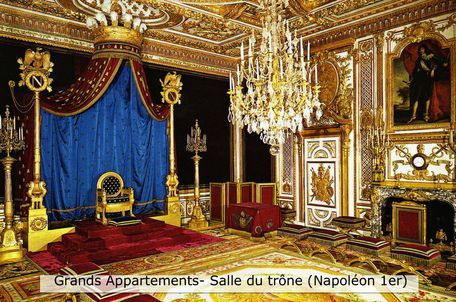 Napoleon I abdicated his throne there before being exiled to Elba. 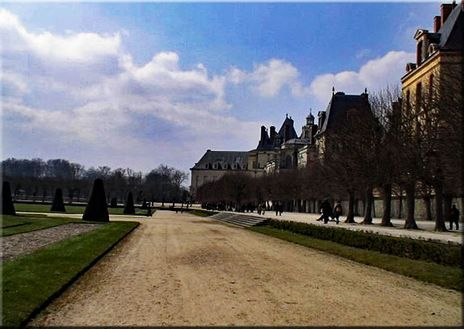 Today, it is a national museum and a UNESCO World Heritage site. 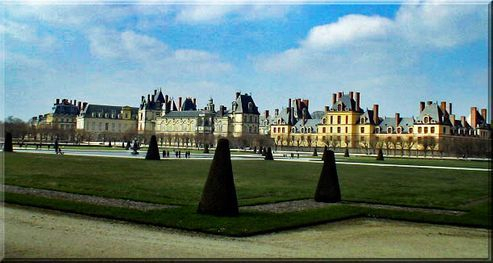 In 1804 Napoleon decided that he wanted his own private suite of apartments within the Palace, separate from the old state apartments. 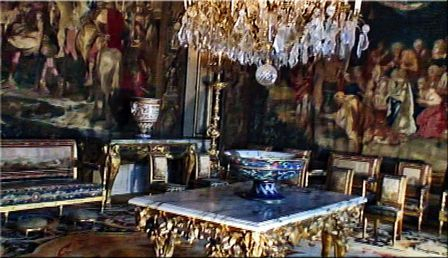 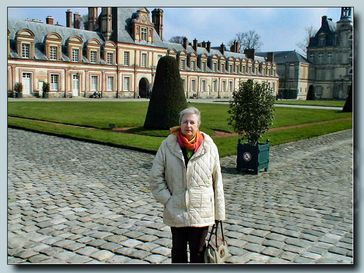 He took over a suite of six rooms which had been created in 1786 for Louis XVI, next to the Gallery of Francis I, and had them redecorated in the Empire style. 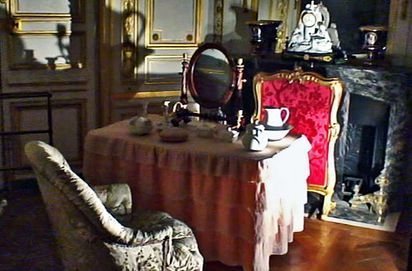 In 1808 Napoleon decided to install his throne in the former bedroom of the Kings of France from Henry IV to Louis XVI, on the exact place where the royal bed had been. 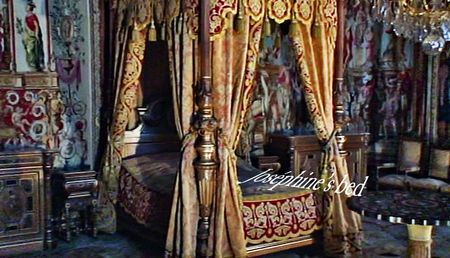 Under the Old Regime, the King's bed was a symbol of royal authority in France and was saluted by courtiers who passed by it. 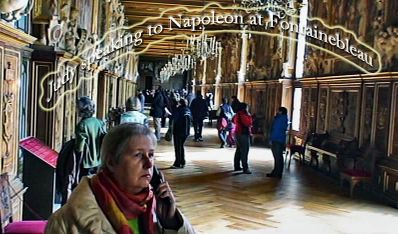 Napoleon wanted to show the continuity of his Empire with the past monarchies of France. 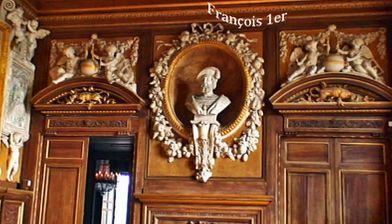 The majority of the carved wood ceiling, the lower part of the wood panelling, and the doors date to the reign of Louis XIII. 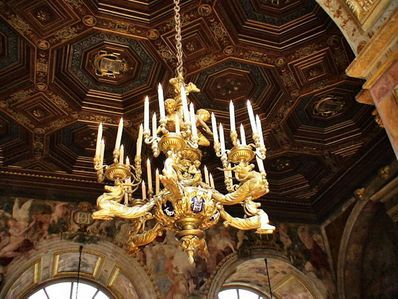 The ceiling directly over the throne was made at the end of the reign of Louis XIV. 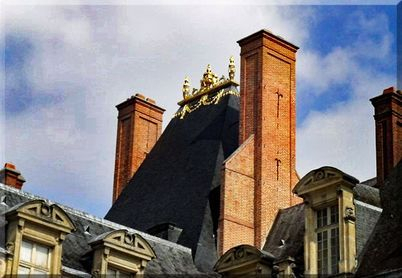 Louis XV created the portion of the ceiling directly over the throne, a new chimney, sculpted wooden medallions near the fireplace, the designs over the doors, and the fine carved woodwork facing the throne (1752–54). 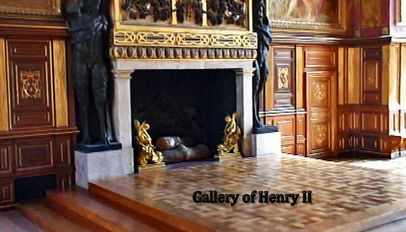 He also had the ceiling painted white and gilded and decorated with mosaics, to match the ceiling of the bedroom of the Queen. 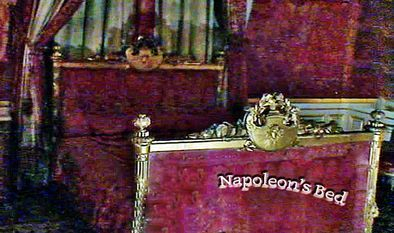 Napoleon added the standards with his initial and the Imperial eagle. 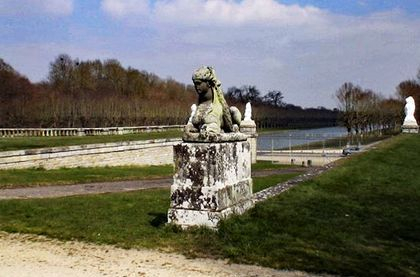 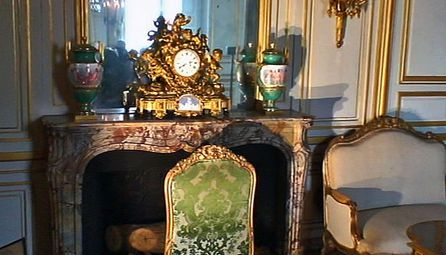 The decoration around the throne was originally designed in 1804 by Jacob-Desmalter for the Palace of Saint-Cloud, and the throne itself came from the Tuileries Palace. 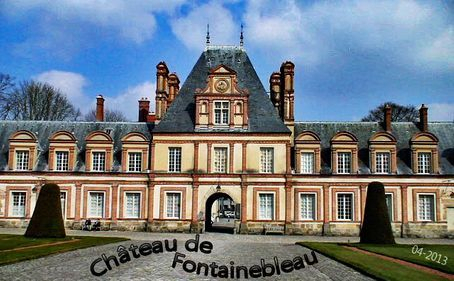 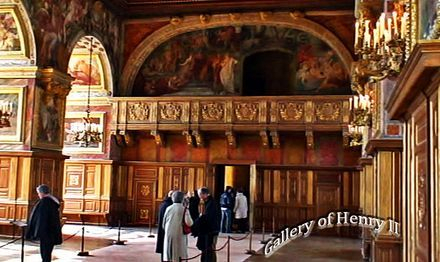 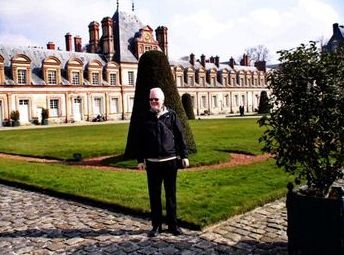 Following the death of Francis I, King Henry II decided to continue and expand the chateau. 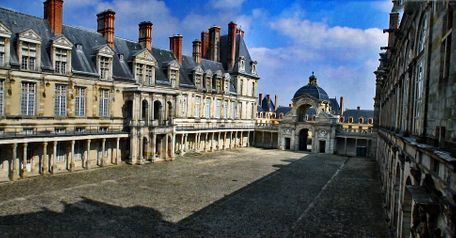 They extended the east wing of the lower court, and decorated it with the first famous horseshoe-shaped staircase. 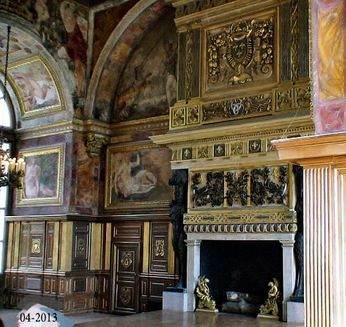 In the oval court, they transformed the loggia planned by Francois into a grand ballroom with a coffered ceiling.